Top Rated GMAT Prep Tutors in Los Angeles, CA! Welcome to Los Angeles’s top-rated private GMAT prep in-home tutoring service! All of the following Los Angeles GMAT prep tutors are certified by Varsity Tutors, the leading tutoring agency in the country! 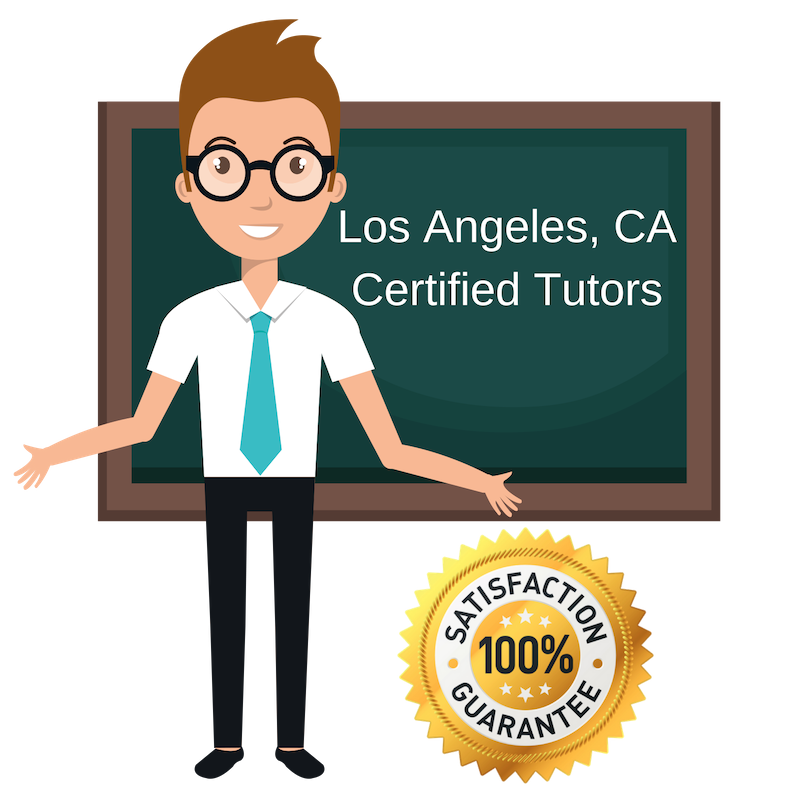 All Los Angeles GMAT prep tutors have been background checked, been interviewed, had mock GMAT prep tutoring sessions, and been trained by professionals. We guarantee you will love your local Los Angeles GMAT prep tutor or your money back! Get information regarding a top-rated GMAT prep tutor today! Pharmacology, Neuroscience, and Journalism is the wide range of subjects I have managed to tackle in my higher education, and now I want to help you excel in your GMAT preparations. I believe it is important for students to take advantage of all the resources and tests given to them in our education system, which is why I want to do my best to help the next generation. I am currently based in Los Angeles. Hi! My name is Juan! Thank you for taking the time to review my profile. I have found that every student comes to me with different needs and expectations, so I attend the sessions expecting to use my teaching techniques that will yield the best results for my students. I hold a Bachelors in Finance Honors and Marketing from Texas Christian University as well as a Masters in Business from Duke University and I look forward to speaking to those in the Los Angeles area, interested in GMAT courses. Aside from education, I enjoy the guitar, the keyboard, sports, and volunteering. I am a graduate of New York University. I received my Bachelor of Arts in Philosophy. I tutor a broad range of subjects, including standardized admissions tests through graduate levels, writing, literature, philosophy, physical science, and math. I am a firm proponent of education, and I enjoy creating a passion for learning within all of my students. In my spare time I enjoy reading, writing, listening to music, traveling, and playing sports, and am deeply committed to student achievement in all forms. I am happy to offer my GMAT tutoring services to students in Los Angeles. I am a tutor for GMAT prep in the Los Angeles area! I hold a Bachelors degree in English from the University of Oregon, and a Masters degree in Education and Secondary Language Arts from Southern Oregon University. I bring joy and humor to our lessons, while challenging and raising my students’ level of expectation as well. I encourage character, integrity, and working for what we want in this life. I have a heart for helping students find their personal keys to unlock the desire and ability to learn as it doesn’t have to be unpleasant or done a certain way to be beneficial. I am licensed in Oregon in Secondary Language Arts, Spanish, and English as a Second Language all levels. I have taught high school English all years, AP Composition, AP Literature, Study Skills, Acting, Theater Production, AP Spanish and ESL grades 9-12 and elementary. Hi there! My name is Adi, from Los Angeles, and I look forward to working with you to ace your next exam! I graduated from the University of California Los Angeles with a degree in applied math, as this subject has been a lifelong passion of mine. If you are looking for help on a standardized test — let me start by saying that this is just another game. It’s a combination of mastering the concepts and understanding how to take these tests. I have taken prep courses for both the SAT and GMAT, and would love to pass on my frameworks to you. If you are looking for school homework or exam help — I can help break down problems and not only help you solve them, but also make sure you master the concepts behind it. Lastly, I would just like to say that I don’t like my students to snooze. I promise to bring my enthusiastic teaching style if you promise to bring your wacky self to class! I am a very active person who enjoys playing football and basketball. I am also an avid consumer technology enthusiast and am constantly brainstorming new product ideas. I am extremely excited to be your tutor and look forward to seeing you soon! I enjoy playing football and basketball. I am also an avid consumer technology enthusiast and am constantly brainstorming new product ideas.